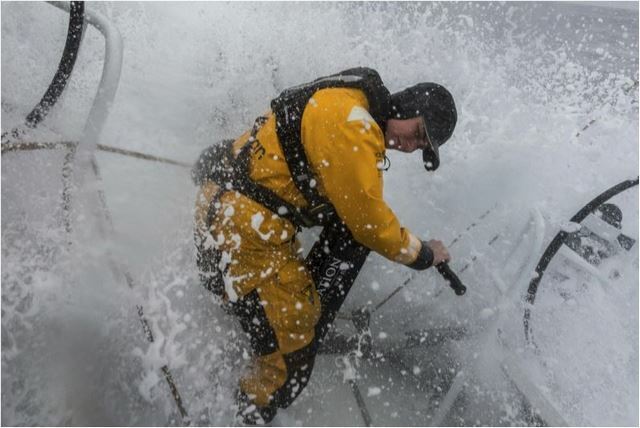 Fast sailing towards the finish - what more could a Volvo Ocean Race sailor want? 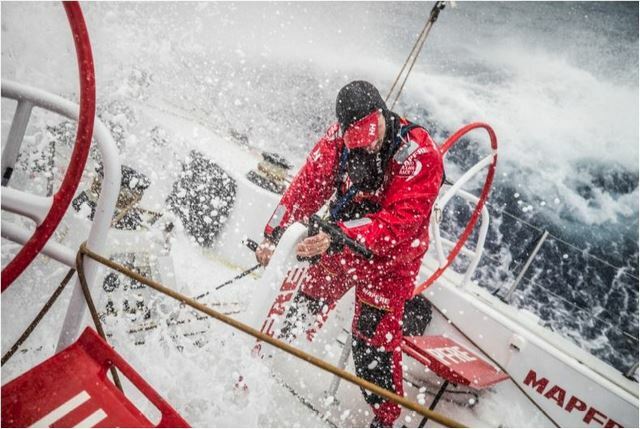 After a tough 48 hours which saw team AkzoNobel lose considerable ground to the leaders - after a decision to tack to the northeast soon after passing the island of Taiwan turned sour - the team have now made up good miles on the fleet ahead of them. 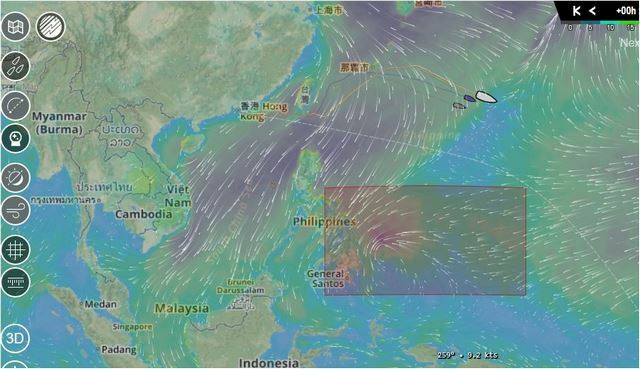 From around 1200 UTC yesterday both team AkzoNobel and Sun Hung Kai Scallywag were able to take advantage of more breeze than the boats to the east of them as a new weather front passed through. 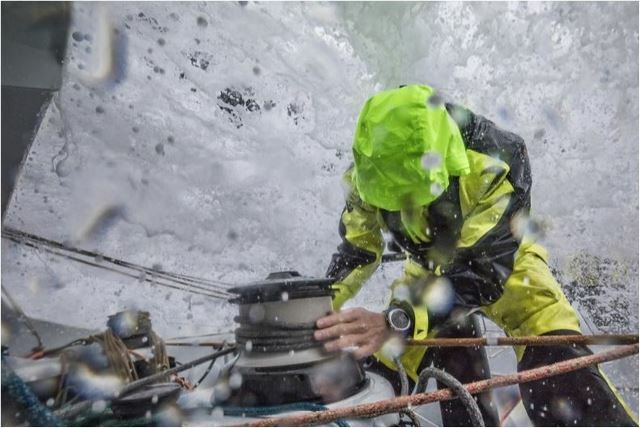 Over the last 24 hours, team AkzoNobel has almost halved the distance to the leaders – they were 113.3 nautical miles behind at 0700 UTC yesterday (February 10) and have now reduced this deficit to 62.9 nautical miles as of the latest position report this morning. The remainder of the fleet gybed over to port and turned for Auckland at around 1900 UTC last night and all teams are now reaching in 24 to 28 knots of breeze having averaged around 21 to 24 knots of speed over the last few hours. 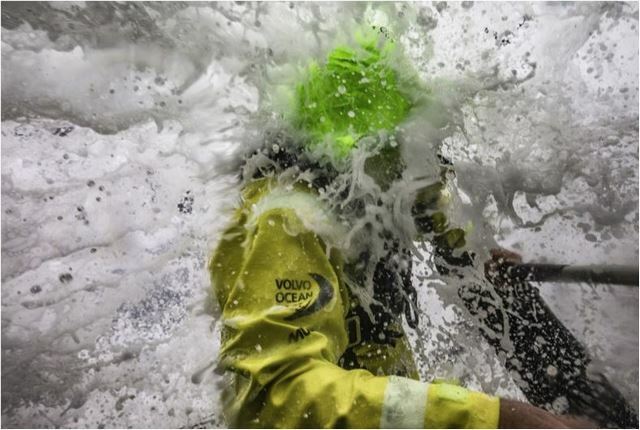 Jules Salter, navigator on board team AkzoNobel, expects the current weather system to carry them for around 1,000 miles before the boats slowly turn to the right and head south to link-up with the northeast trade winds. Whilst the gains on the leaders have slowed, team AkzoNobel will be looking for further opportunities to take advantage of in the coming days. There is still a long way to go in this race. 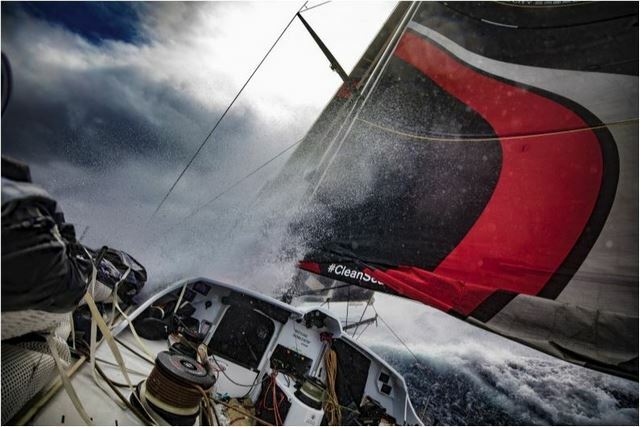 At 0700 UTC (0800 CET) team AkzoNobel was in fifth place in the Volvo Ocean Race fleet, sailing west at 22.1 knots with 4,344 nautical miles (8,045 kilometers) to the finish in Auckland. Pete just came down off watch and complained about the stain there is downstairs, so we better open the leeward hatch again, but then it means bailing water out more, as the water gets sucked in through the leeward hatch. Yann and Capey have been fighting all day to get the media station to work, and not winning yet. The media station is important as it is the way that race control can follow the boat all the time and get to the data. But more importantly its the way how we download weather. It is bloody annoying to receive messages from race control with just saying switch it back on, easy to speak when they sit in a office somewhere where it is flat and dry, and they're not knowing what efforts we put in to get it back to work. I am sure when it gets calmer our boys will find a way to get it fixed. Time to go on deck for me, into the pitch dark night... It is still raining, this is the less fun part of the job.